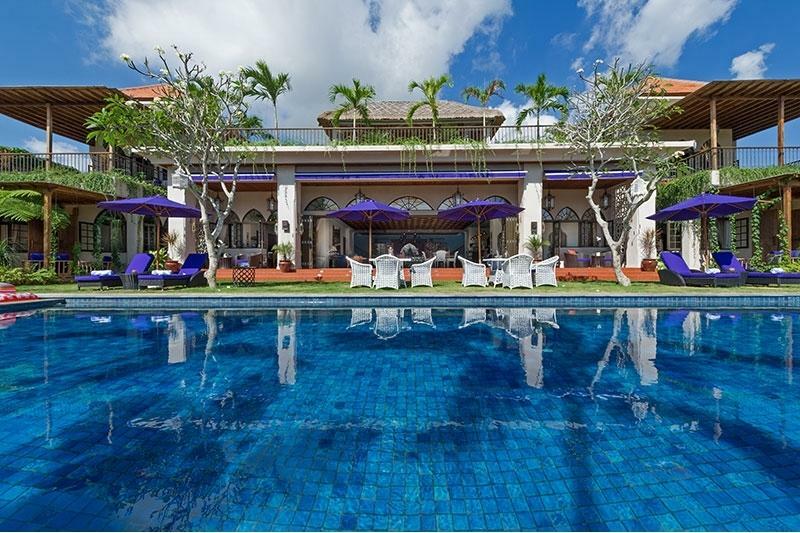 This grand private villa, built on a spacious landscaped2400 m2 property is now available for short-term holiday rentals. 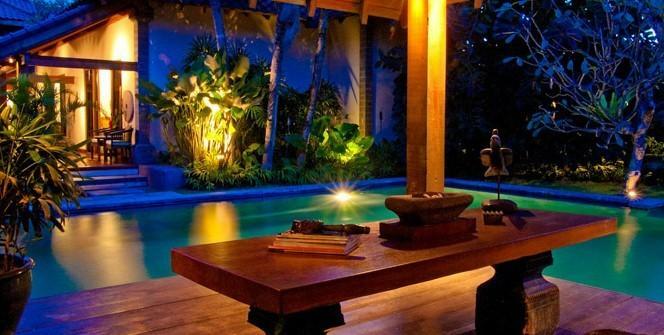 Located in the happening Petitenget/Seminyak area and only 2 minutes to all the fashionable restaurants and bars, it is the ideal Luxury Villa for a larger group of friends or family. 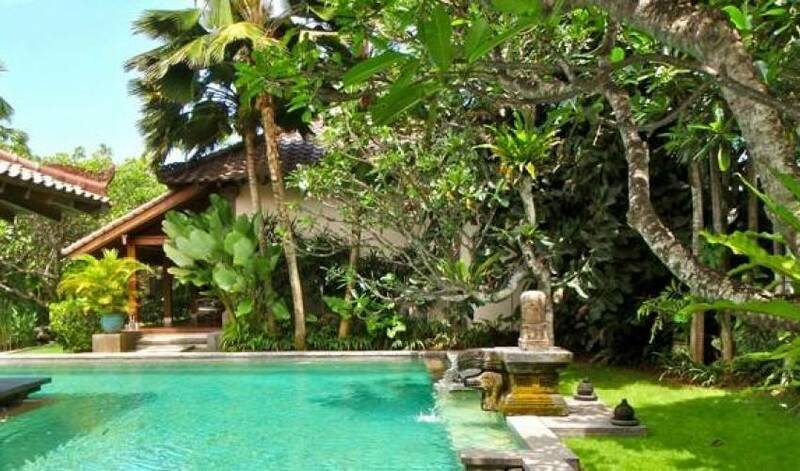 Bali Villa 346 in Seminyak, Bali located just minutes from the beach and fashionable restaurant row. 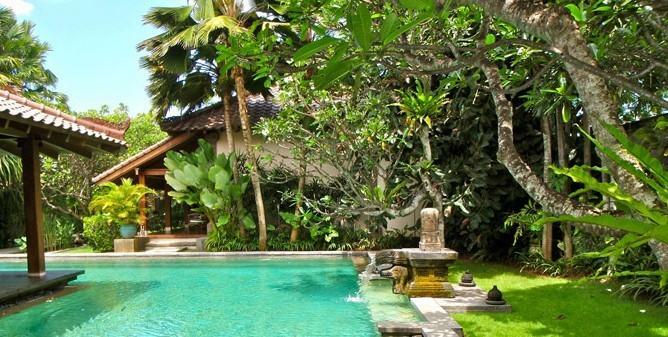 Built in a modern contemporary Javanese / Balinese style this luxury villa is perfect for both families and or large groups of friends wishing to stay together but also enjoying complete privacy. 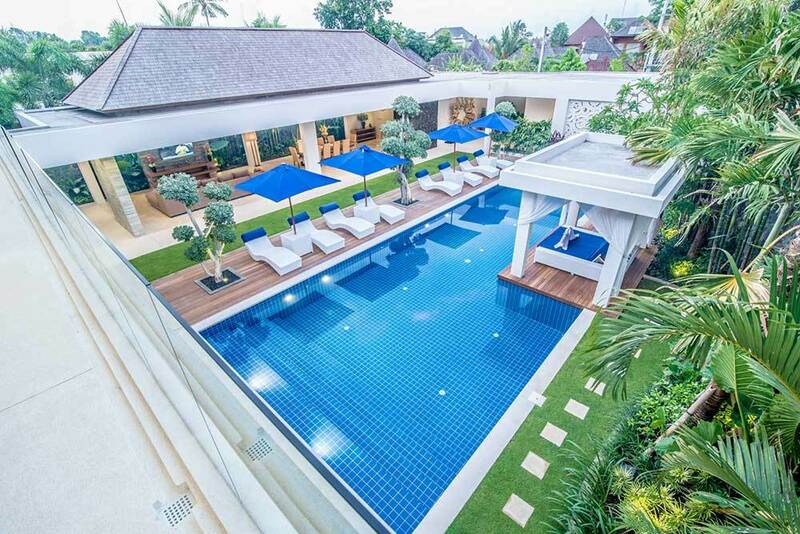 Spacious gardens, and pool with private relaxing areas for each of the 5 bedrooms makes this villa stand apart from the rest. The 6 separate pavilions were designed to link together but also separate each area. 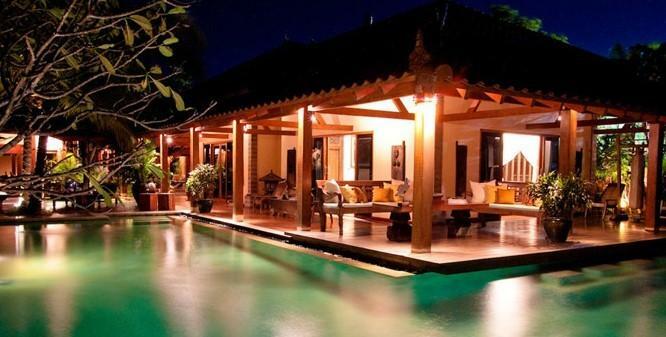 This is a villa ideal for entertaining with friends or family. 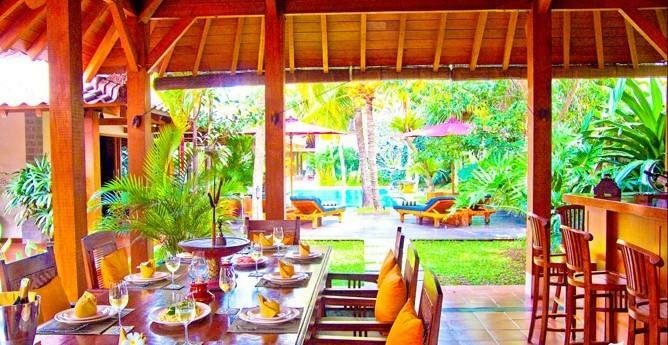 The large dimensions and fully equipped villa is ideal to celebrate special occasions. 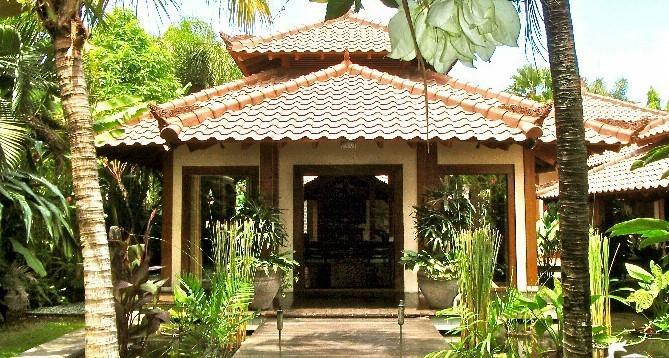 The Kitchen facilities are second to none in Bali and the staff are trained well and experienced in serving guests. With both a Jacuzzi and sauna adjacent to the bar on the end pavilion rooftop guests can enjoy a cocktail as the sun sets over the rice fields and volcano all seen from this idyllic location. The villa has 5 large bedrooms all with antique traditional beds covered with the highest quality mattresses, bed linen and pillows. 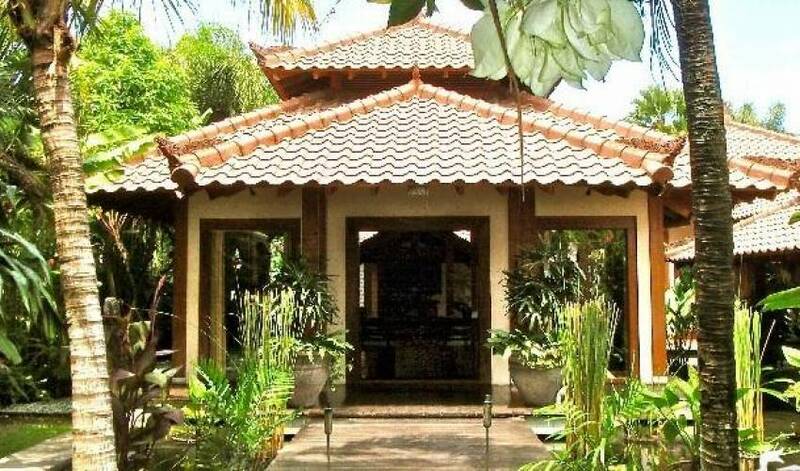 Different themes and art work has been chosen for each separate room within the villa and the guest bedrooms have been named after one of the Indonesian Islands. Each room has a private open-air bathroom with big bathtub and features a waterfall that enhances the overall relaxing holiday ambience. All rooms have their own television, safety box, air conditioner and fully stocked refrigerator/mini bar. The master bedroom has an adjacent spacious study area equipped with computer and fax machine. Use the latest Bose sound system to listen to your favorite music and even to play simultaneously different music in the villa and garden areas. 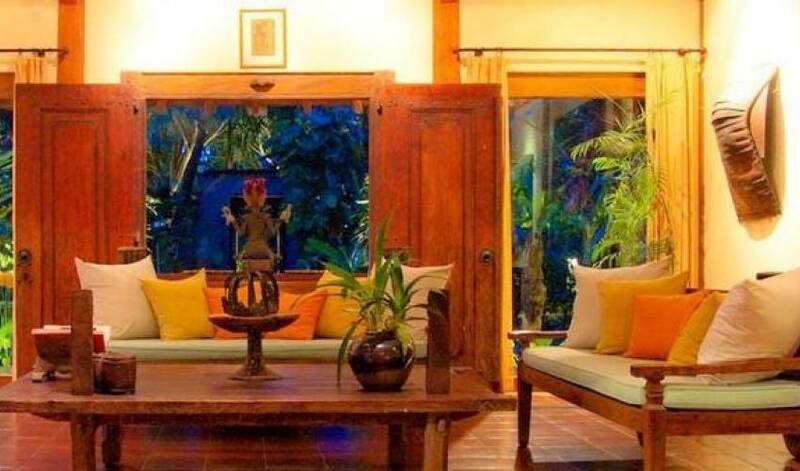 Holiday guests may choose to rent the whole villa complex (5 Bedrooms) or just one of the Guest Annex areas (2 Bedrooms) depending upon number of guests and requirements. Please note that rooms that have not been rented will be locked and there will be no access allowed. 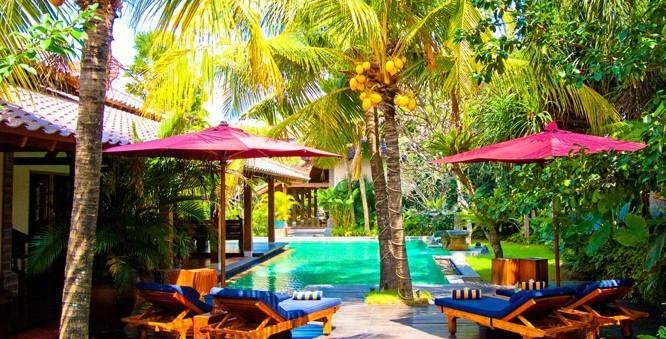 With a complete staff, Villa 346 is managed by an experienced team who will ensure that your every holiday need is looked after. *Private chef can be arranged at extra cost. In advance notice will be required. 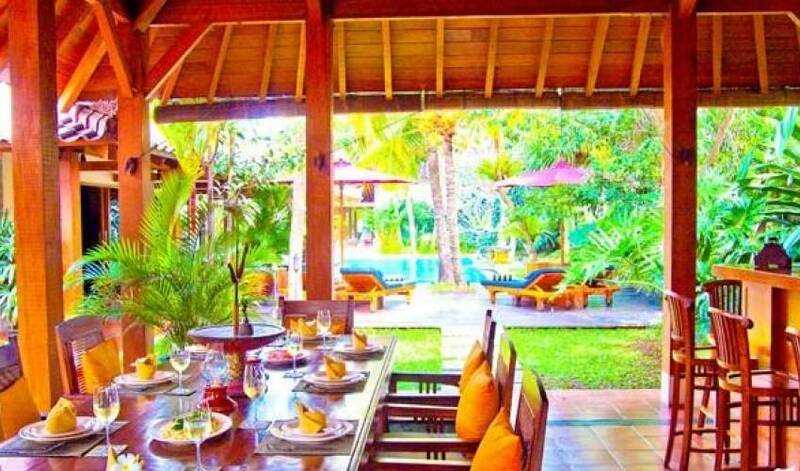 Bali Villa 346 is located just off the main road in Petitengget after the Living Room Restaurant. 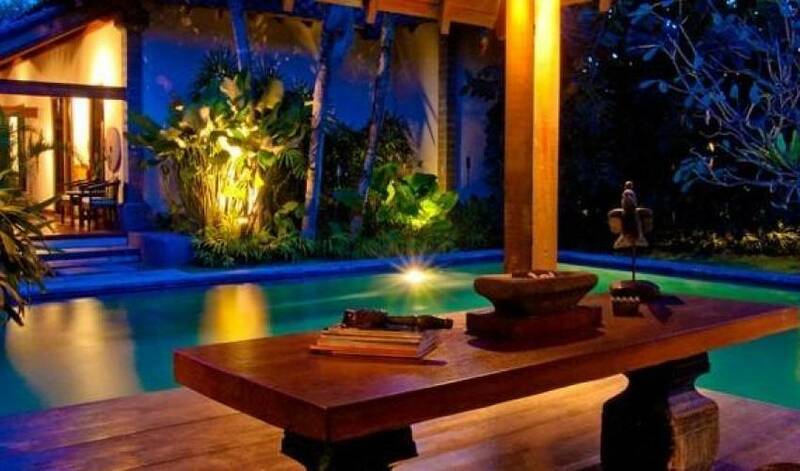 The Villa is within walking distance of the beach. 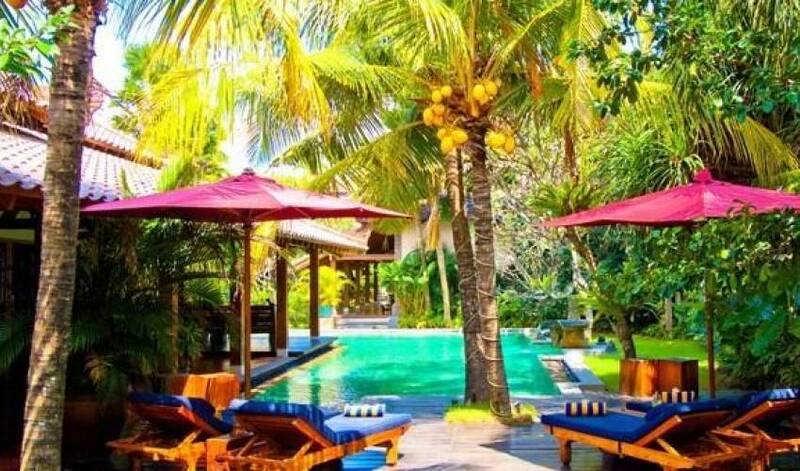 Villa 346 is in the center of what is now considered the “Prime Villa district” in Seminyak close to the well known La Luciola Restaurants and The fashionable Legian Hotel. 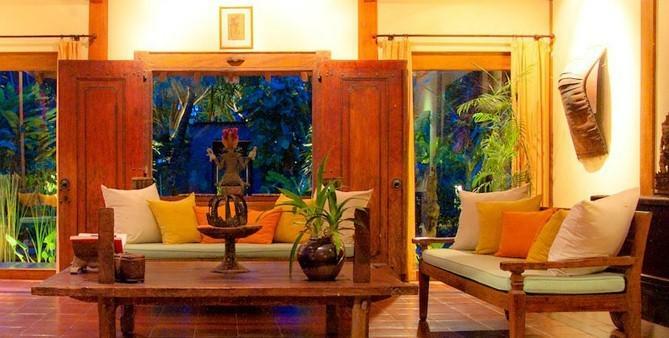 The villa is a 20 minute drive from the airport and a short 15 minute walk along the beach to the Ku De Ta Restaurant. * Rates incur a further 10% VAT and 5% service tax per night.